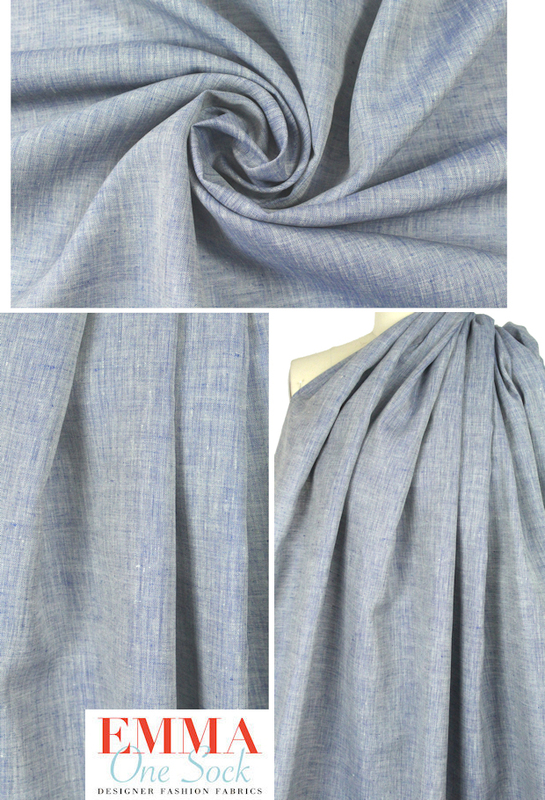 This is a beautiful quality European cross dye linen in medium blue with off white weft fibers (PANTONE 12-0642, 19-4039) giving it an overall impression of a chambray denim color. It is a shirting/dress weight woven with some crispness in the drape, opaque, and suitable for a shirt, dress, tunic, airy summer separates, etc. Dry clean or test first if you want to try hand or machine washing. Lay flat or hang to dry.